Two US dramas, both of which screen on Seven, got the good news overnight that they will be back for more. 9-1-1 and The Resident will both proceed to third seasons. 9-1-1 has been averaging 6.22 million US viewers across 11 episodes of its second season. 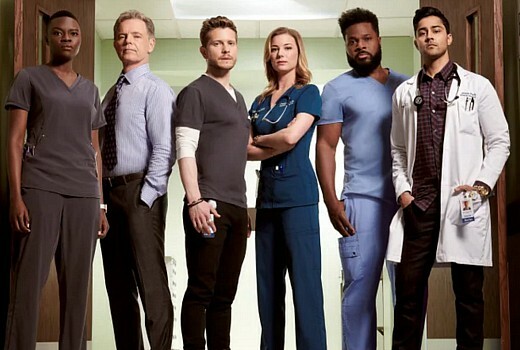 Season two of The Resident is averaging just over 5 million US viewers and is currently screening Tuesday nights in Australia on Seven. Love the Resident! I hope Jane Leaves lasts past thr next year. She only signed on for a year apparently. Great news, love both these shows. Both jewels in the crown of what’s on offer on free to air at the moment. I do like 9-1-1 but and it’s a big but, the storyline’s are crazy. Watch the latest episode and you will understand. Basically man bitten by a shark on a freeway. What drugs are the writers on?? When is 7 showing new eps of 9-1-1 and also God Friended me? ?